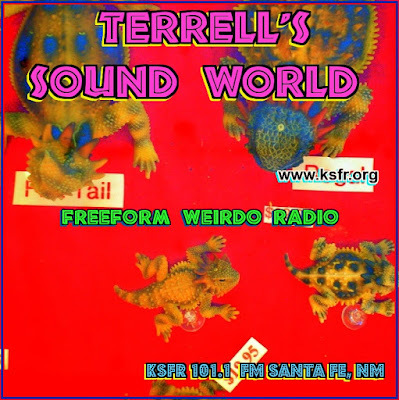 Stephen W. Terrell's (MUSIC) Web Log: TERRELL'S TUNEUP: Arhoolie Howls! American music would have been a lot poorer had German immigrant Chris Strachwitz not gotten the weird notion to make trips to Texas to record bluesmen Lightnin’ Hopkins and Mance Lipscomb a half century ago and start his own record company to make these treasures available to the public. Over the years, Strachwitz’s Arhoolie label has given us music by some of the most important blues, hillbilly, folk, zydeco, Cajun, Tex-Mex and gospel musicians known (or unknown) to humanity. Arhoolie albums are like musical DNA, building blocks of a musical heritage most of us take for granted. Its catalog has branched out to include music from Mexico and the Caribbean, but it’s the sound of the rural South that is the core of Arhoolie. 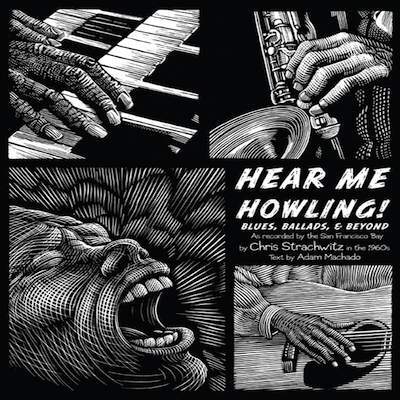 In honor of Arhoolie’s 50th anniversary, the company has given us Hear Me Howling! Blues, Ballads and Beyond. The package consists of four CDs, plus a book detailing Arhoolie’s history. Most of the music — four hours and 40 minutes worth — has never been released before, and many of those songs that previously have seen the light of day had only been on LP decades ago. All the music here was recorded in Strachwitz’s adopted hometown of San Francisco, some in the pre-Arhoolie ’50s. Tony Bennett might have left his heart there, but Hear Me Howling shows that other musicians just left a lot of great recordings there. Some of the musicians lived in the land of Rice-A-Roni, but many were passing through and were captured live at festivals, coffee-house concerts, and even house parties. Mississippian Skip James, for instance, was recorded at Strachwitz’s home. Can you imagine how cool it must have been to have Skip James in your living room, playing your piano and moaning his ghostly blues? James isn’t the only major dude to appear in this collection. There are San Fran bluesman Jesse Fuller, Sonny Terry (born Saunders Terrell, no relation), Bukka White, Lonnie Johnson, zydeco deity Clifton Chenier, Willie Mae “Big Mama” Thornton, Rev. Gary Davis, Mississippi Fred McDowell, Big Joe Williams and, of course, Hopkins and Lipscomb. Some highlights of this collection include Hopkins’ “Up on Telegraph Avenue” — also recorded at Strachwitz’s house — which is a funny and lecherous encounter between the old blues codger and “a little hippie girl” in a miniskirt who offers herbal treats. Some of the most intense songs are by Big Joe Williams. His session was recorded shortly after he had been released from the psychiatric ward of the local jail. Thus he sings “Greystone (Alameda County Jail) Blues” with blood in his eye. And “Oakland Blues,” sung by his wife Mary Williams, sounds even more frightening. There’s even a 1965 version of the anti-war classic “I-Feel-Like-I’m-Fixin’-to-Die Rag” by an early version of Country Joe & the Fish. This was a pre-electric Fish that sounded like the West Coast cousin of Jim Kweskin & The Jug Band. One thing I learned from the Howling book — Joe McDonald was named by his leftist parents for Joseph Stalin, whose nickname was “Country Joe.” Maybe this was a Communist plot! Those musicians mentioned are just the ones you’re likely to have heard of. Some of the most amazing performances here are by those who are mainly known to Arhoolie devotees and other serious lunatics. For instance there’s the Rev. 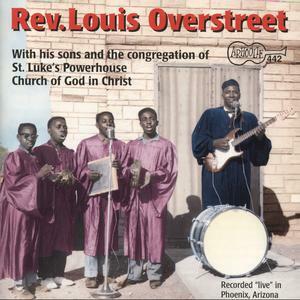 Louis Overstreet, a Southerner who ended up in Arizona, preaching at a church called St. Luke’s Powerhouse Church of God in Christ. Overstreet played electric guitar with his hands and played a bass drum with his feet, backed by his four sons on vocals. There’s K.C. Douglas, a singing garbage man — I’m not making this up — who lived in Berkeley. There are four tracks by Douglas here including the title song. Most of his contributions are acoustic numbers — my favorite, “I Know You Didn’t Want Me” features a band, including sax and piano. I had actually heard of Toni Brown before. She was in an old female-fronted hippie band called the Joy of Cooking that made several albums in the post-flower-power era. But I never realized until now what a great country singer she was. Hear Me Howling has three songs credited to Brown, all of them sweet, soulful acoustic hillbilly tunes in which she sings like a young Kitty Wells. There’s also “Charles Guiteau,” a fun little assassination ballad by Crabgrass, an old-timey string band of which Brown was a member. And there’s an acoustic Joy of Cooking song, “Midnight Blues,” though I prefer Brown’s country stuff. 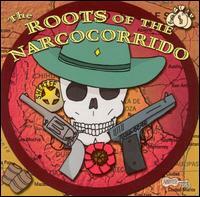 Santa Fe’s most prominent folkie, the late Rolf Cahn, isn’t on this album. But there are songs by two of the women he loved — Barbara Dane and Debbie Green, so Cahn is here, howling in spirit. Country, blues, and folk tunes make up the bulk of this collection. But the fourth disc includes some jazz from the Bay Area by acts like the Now Creative Arts Jazz Ensemble, guitarist Jerry Hahn, drummer Smiley Winter, and saxman Huey “Sonny” Simmons. Interesting stuff, but Chenier’s “Louisiana Rock” and Big Mama’s “Ball and Chain” are the highlights of disc four for me. Strachwitz is pushing 80 now, but Arhoolie isn’t showing its age. As a foreigner, Strachwitz found the music of America wild and magical. We should thank him and Arhoolie for letting us here these crazy sounds through fresh ears. Check out www.steveterrell.blogspot.com. 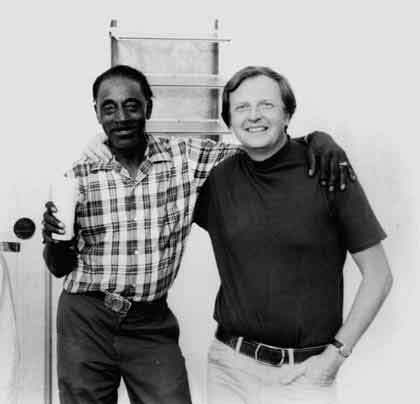 Arhoolie on the airwaves: Hear a special Arhoolie set on The Santa Fe Opry 10 p.m. Friday on KSFR-FM 101.1. Blog bonus: Here's my personal Top 10 favorite Arhoolie albums. 1 America’s Most Colorful Hillbilly Band Vol. 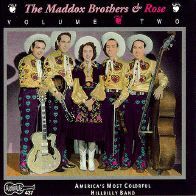 1 by Maddox Brothers & Rose: These southern immigrants to California had more fun than hillbillies ought to be allowed to have. 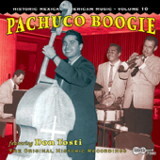 2 Pachuco Boogie: The lion’s share of the songs and indeed, the heart and soul of this CD belong to Edmundo Martínez Tostado, an El Paso native better known by his stage name: Don Tosti. Tosti — an accomplished jazzman who became a jump-blues icon of zoot-suit culture. 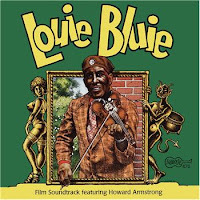 3 Louie Bluie Soundtrack: This is music from a quirky documentary made in the mid '80s by Terry Zwigoff, who is more famous for Crumb. It stars fiddler/mandolinist Howard Armstrong, who plays blues, gospel and jazz tunes — not to mention a German waltz and a Polish tune. As he explains in the movie, Armstrong was fluent in several languages, including Italian and a little Chinese, which, he said, helped him get gigs when he moved from Tennessee to Chicago. 4 Live at the Powerhouse Church of God by Rev. Louis Overstreet. An electric guitar-picking, bass-drum-pounding preacher whose church was in Phoenix. Most of this album was recorded by Strachwitz during church services in 1962. But the CD version has some bonus tracks, including several recorded at Overstreet's home in which the preacher plays acoustic guitar. 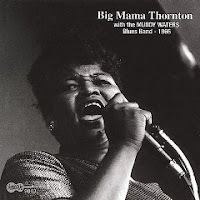 5 Big Mama Thornton with The Muddy Waters Band. Good basic Chicago blues, recorded in San Francisco. I’d have hated to have been the “hound dog” Big Mama sang about. But the “Black Rat” she lays in on this album sounds like he’s in worse trouble. 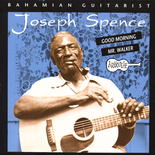 6 Good Morning Mr. Walker by Joseph Spence. Bahaman Spence was an amazing guitarist whose thick dialect made him sound like a wino from Mars when he sang his joyful tunes. 7 Sacred Steel. This style of gospel music began in the late 1930s in the House of God, an African- American Pentecostal denomination. Although the steel guitar became popular in House of God congregations that were not able to afford an organ or piano. 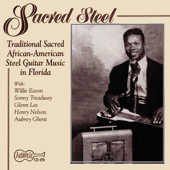 Arhoolie has done several sacred steel compilations. 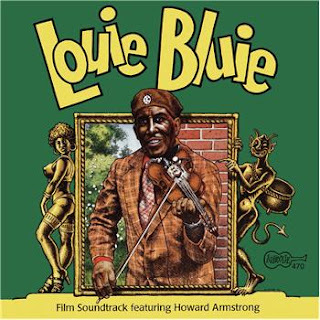 The first one, release in 1997, features some of the giants of the genre including Willie Eason, The Cambell Brothers, Aubrey Ghent and Sonny Treadwell. 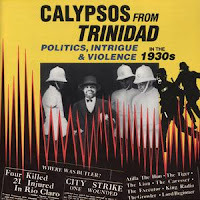 8 & 9 Calypsos From Trinidad: Politics, Intrigue and Violence in the 1930s; and The Roots of Narcocorrido. These collections, although representing different countries and different styles of music, both are collections of songs, many of them controversial, dealing with politics and crime. 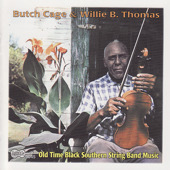 10 Old Time Black Southern String Band Music by Butch Cage & Willie B. Thomas, Recorded back in 1960, but not released until five years ago, this is nothing but party music, at least the way they used to have parties in the rural South. I was too young to have been invited to this party, but this is the next best thing.